If you need speedy and effective cleaning of your house, flat, office, rented or commercial property, you can rely on Mark’s Cleaning Services to provide it. Our company offers highly professional and inexpensive cleaning services to the residents of Balham SW12 available every day in the week. You can choose the services you currently need, add them to your quote and you will receive them on a special price. We can assure you that all of the cleaning solvents, detergents and preparations that we use are non-toxic and safe for your health. If you worry about the cleanliness of the rooms in your home, working place or rented property, call us and we will take care of it. Our cleaning team are trained to do their work professionally and complete it on time. You can order any of the cleaning services which we offer: end of tenancy, domestic, deep, after builders cleaning, professional cleaning of rugs, ovens, carpets, upholstery and others. Call our numbers for contact to schedule the cleaning which you need for a suitable day and time. 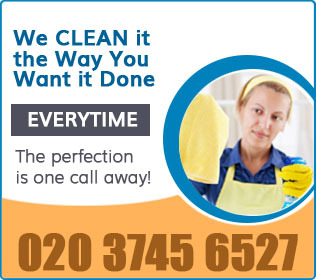 Our cleaning services are available in Balham SW12 on weekdays, bank holiday and at the weekends. We are convinced that you will be happy with the final result of our work. If you need help in maintaining your home, office or other property clean, we can provide it. Our staff will come at the appointed day and time to sanitise your rooms. They will remove the dust, grime, cobwebs, mould and limescale from the walls, ceilings, floors, furniture and appliances. Have a rest from your daily cleaning work and rely on our company, located in Balham SW12 to provide the cleaning services which you need. You can contact our call centre, online chat or fill in and send our booking form.